Dr. Don G. Aaron Jr. M.D. 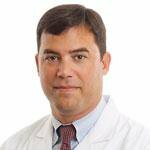 Dr. Don Aaron is a board certified orthopedic surgeon specializing in sports medicine with Optim Orthopedics in Statesboro, GA. Dr. Aaron graduated with honors from Screven County High School and Presbyterian College. He then attended medical school at Mercer University School of Medicine where he was a member of Alpha Omega Alpha medical honor society. Dr. Aaron then completed a five year orthopedic residency program at the Campbell Clinic in Memphis, TN and served as chief resident. Following residency, Dr. Aaron went on to train with the renowned sports medicine specialist, Dr. James Andrews, at the American Sports Medicine Institute (ASMI) in Birmingham, AL. While at ASMI Dr. Aaron served as one of the team physicians for the University of Alabama as well as Hoover High School. Dr. Aaron currently serves as team physician for several local high schools and Georgia Southern University. In order to remain up to date on the newest treatments and techniques, Dr. Aaron maintains active membership in numerous organizations including the American Academy of Orthopedic Surgery, the American Orthopedic Society for Sports Medicine, and the Arthroscopy Association of North America. Dr. Aaron is married (Lisa) and has four wonderful and active children (Don, Will, Ben, and Lane). Insider Article By Dr. Don G. Aaron Jr. M.D. Updated: April 26, 2018, 9:18 p.m.
Q: My knee has begun to constantly click and pain has begun to radiate around the center of it. Does this mean that I should get knee surgery? A: In order to be scheduled for knee surgery, you will need to be diagnosed by your doctor and then sent to a specialist. 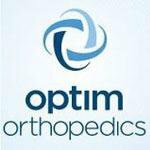 We at Optim Ortho are ready to provide the best care if it just so happens that your knee is in need of surgery. For the mean time please refrain from doing any strenuous legwork, especially movements that require sudden strafing actions.